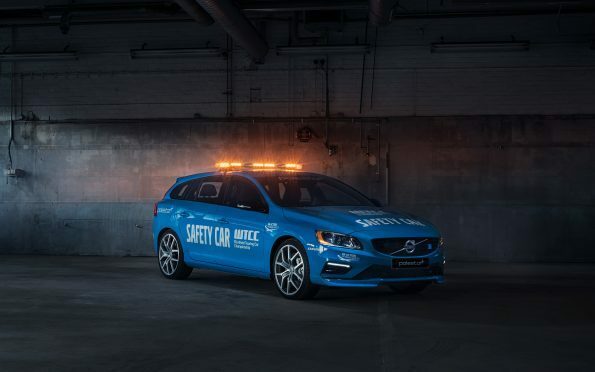 The Volvo V60 Polestar becomes the world’s safest safety car in a new long-term agreement with the FIA World Touring Car Championship (WTCC). It will start in the season-opening WTCC Race of France at Circuit Paul Ricard this week. It is equipped with a roll cage, rescue and communication equipment to meet the rigorous technical and safety requirements set by the FIA. The new Volvo V60 Polestar, which has been awarded a five-star safety rating by Euro NCAP, has been extensively engineered to deliver an engaging, precise and confident driving experience in all weathers with input from factory Polestar Cyan Racing drivers Thed Björk, Robert Dahlgren and Fredrik Ekblom.